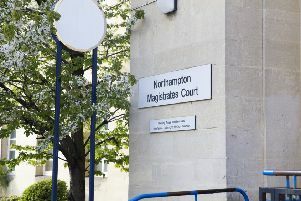 A 16-year-old boy was kicked and punched in the face after he was attacked by a group 10 young men in Grange Park, Northampton. The teenager was approached by four men who were part of a larger group of about ten as he walked along Quinton Road, near the allotments. The men started to verbally abuse him and three of the group then assaulted him, punching and kicking him to the body and face. The rest of the group then joined in with the assault, kicking the victim while he was on the floor. The attackers, a group of white and black young men, then ran off, leaving the victim with bruising to his face and body. Police, who today released details of the attack that happened on Saturday, April 25 would like to speak to anyone who may have witnessed this incident or who may have any information regarding it.